Kana (ผักคะน้า, Pak Kana) is a delicious dark green, leafy vegetable found in Thailand and used in many Asia cuisines. 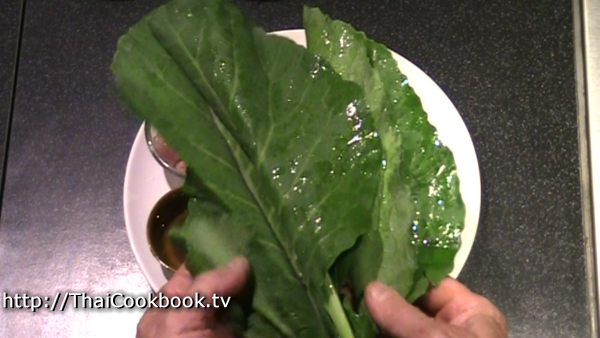 In English, it is commonly referred to as Chinese Broccoli, It is very similar to Kale. Pad Kana is a simple stir-fried dish using either sliced pork loin or chicken breast, garlic, oyster sauce and other seasonings, and just a hint of hot chili. If you don't like spicy foods at all, then this dish comes out great even when you leave the chili out. 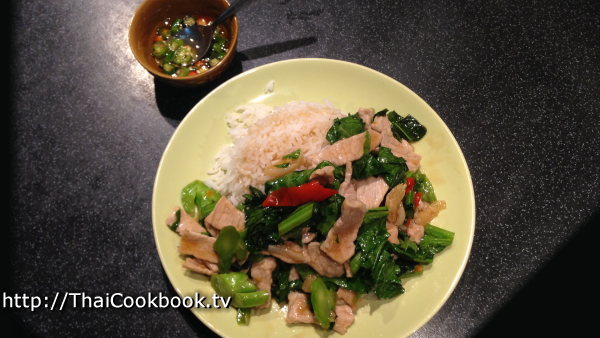 What's in our Stir-fried Chinese Broccoli with Pork. 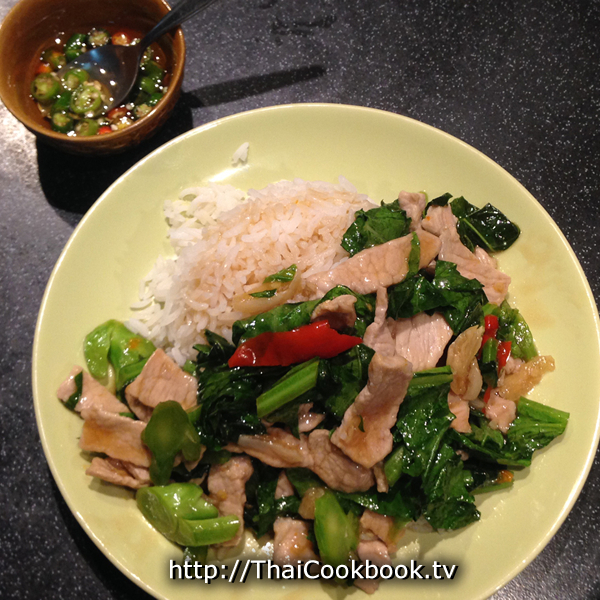 How we make our Stir-fried Chinese Broccoli with Pork. 1) Fry garlic and chili for just a few seconds in oil, stirring, then add the meat. 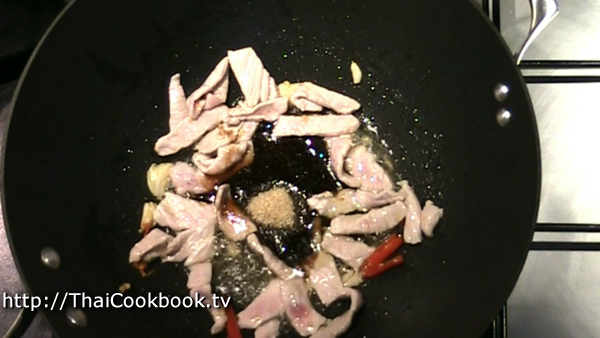 2) When the meat is cooked through, add oyster sauce, soy sauce, and sugar and cook until the sugar is melted. 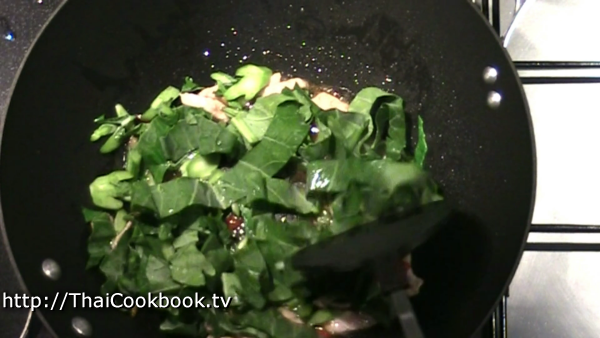 3) Add the Kana and stir in well. Cook for about 30 seconds. Serve immediately. Pak Kana is a stiff, leafy, dark green vegetable. If you don't have it in your area, this recipe can be made using Kale. 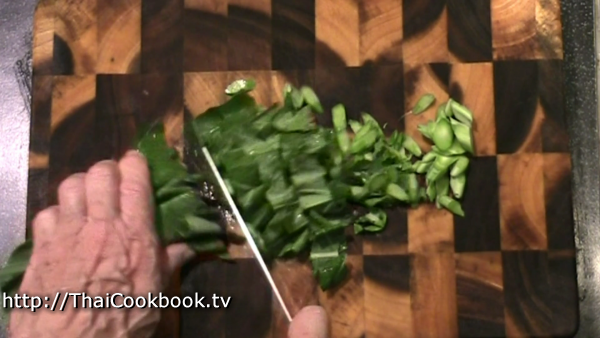 Cut the stalk part of the Kana thinly sliced on a diagonal, then cut it bigger when you get to the leafy parts. 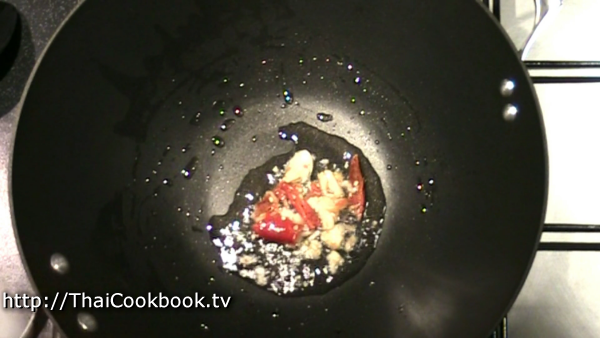 Using a mortar and pestle, break up the garlic and chili. Not too finely ground, as you want it to have big pieces that you can see in the finished dish. 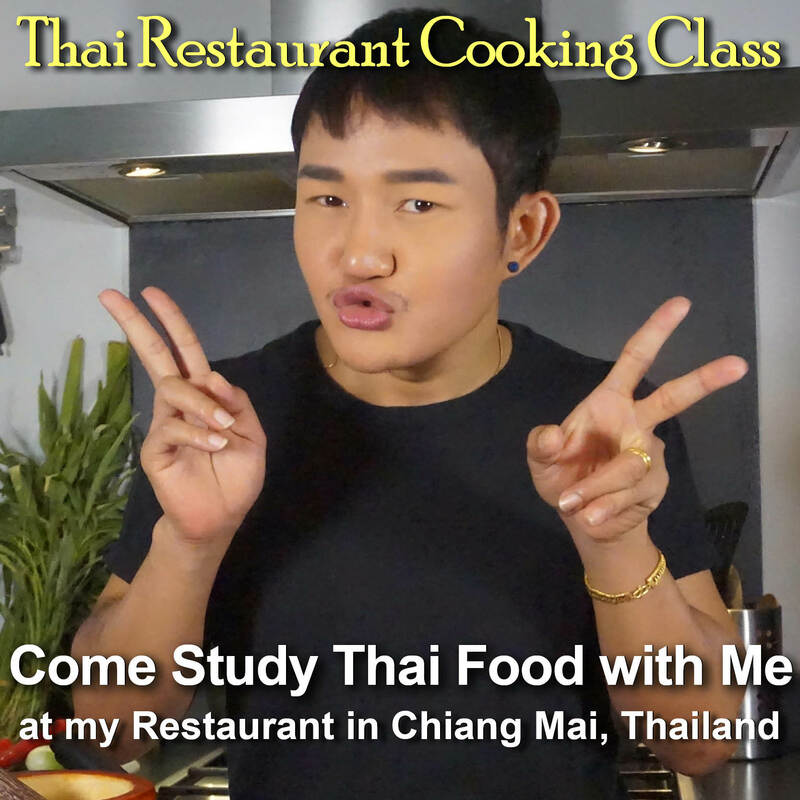 Heat the oil in a wok or large frying pan over medium to high flame. Add the oil, let it get hot, then add the chili and garlic. Cook for just a few seconds, stirring, then add the meat. Fry the meat and chili, stirring constantly, until the meat is nearly cooked all the way. Add the oyster sauce, soy sauce, and sugar. Stir in well and let fry until the sugar melts and the pan dries out a little. Add the Kana and stir in well. Cook for about 30 seconds, stirring. If it is dry, add just a little water and stir in to deglaze the pan and release some flavors. You should have just a little sauce in the meat and vegetables. Do not overcook. Remove from the heat and serve immediately. 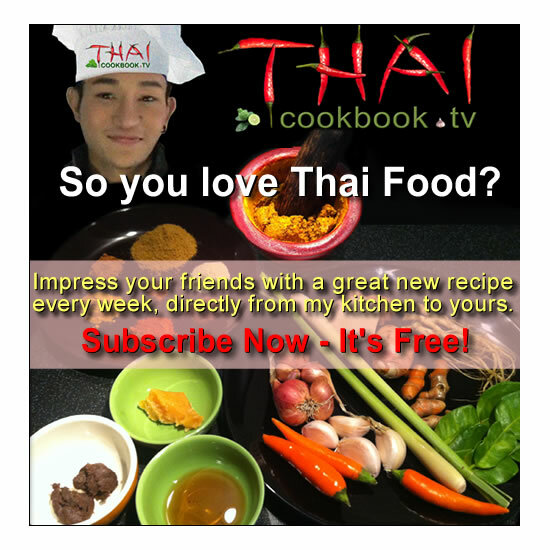 Serve over rice along with prik nam blah for a one-dish meal, or in a shallow bowl as a side dish.